"Before you decide on a title for your book, Google the options." If only I could remember who gave me this piece of advice, but I can’t. What I do remember are the discussions that followed. Basically there were two reasons to Google a potential title. Obviously, you want to avoid a title that has been used especially if it has been used often. Like me, you’ve probably Googled a title when you're searching for a book. One of my most recent searches was for A Perfect Day, a picture book by Lane Smith. When I popped over to the library catalog and entered the title, I got 520 results. Ugh. I hate it when it gives me everything vaguely related to my search. I’m not sure why but it also searches the book descriptions. But there were also identical titles this time around. I found a movie, an album, an electronic copy of a novel and 3 picture books with the exact same title as well as one picture book with a title that starts with "A Perfect Day..."
The picture book I’m looking for is about a group of animals who are having a perfect day until a bear comes along. The e-book was a psychological thriller. Not horrifying but not ideal for picture book fans. This leads us to the second reason I was given that you should Google your title. You want to keep young readers from finding a book that is very different and possibly inappropriate. And that is definitely something to consider. Most of us have clicked on a title only to discover that . . . Ooooo, that's not what I wanted. But I've also discovered a third reason to Google your title. You also want to avoid competing media that is similar to your own. 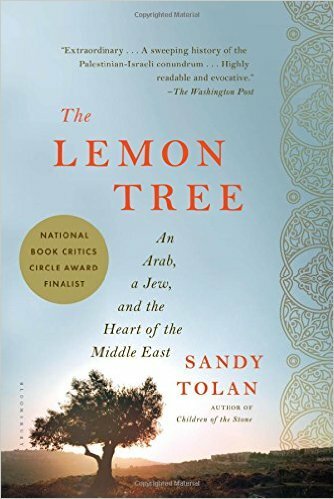 Recently, a librarian at our local branch recommended The Lemon Tree , a nonfiction account of a Jewish Israeli woman who grew up in the home that a Palestinian family was driven out of as Israel was being formed. The two met when he came to see the house and a sometimes uneasy friendship developed. The librarian also told me that a movie had been made of the story. She even showed me the DVD. It turns out that the title of the DVD isn’t exactly the same – it is Lemon Tree vs The Lemon Tree. But seriously? That’s just too close. I say that because my book club read the book. One of the women then watched the movie and discovered that NO it isn’t the same story although the parallels are obvious. The movie is about a Palestinian woman who goes to court to protect her ancestral lemon orchard when an Israeli minister wants to clear the trees. The two pieces are about the same global area, the same two groups of people and even the same time period. Two titles that are very close about similar stories. Don’t put your would-be readers in a position where they might pick the wrong piece. Come up with a title or three and then Google them. Try not to pick something that has been used time and time again. Whether the piece is very different or very similar, it will create needless confusion. Have mercy on your fans! To find out more about Sue Bradford Edwards' writing, visit her blog, One Writer's Journey. Sue is also the instructor for Writing Nonfiction for Children and Young Adults. The next session begins August 14th. Great point! Sometimes I'll look up a book without putting the author's name in on Amazon and see several with the same exact title. It's frustrating! Sue, you make a great point. One that seems so obvious, but one I would likely forget. Although it does make me frustrated when like you, I look up a title and find a plethora of books with the same title. My WIP has a couple of books with the same title, but when I found a candy had the same name I just shook my head!